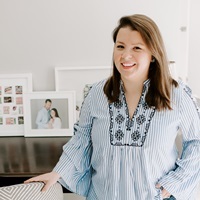 I’ve so been busy writing about Cinco de Mayo celebrations this week that I’ve almost let a few last-minutes Mother’s Day DIYs slip by (Mom, I swear we love you more than margaritas!). 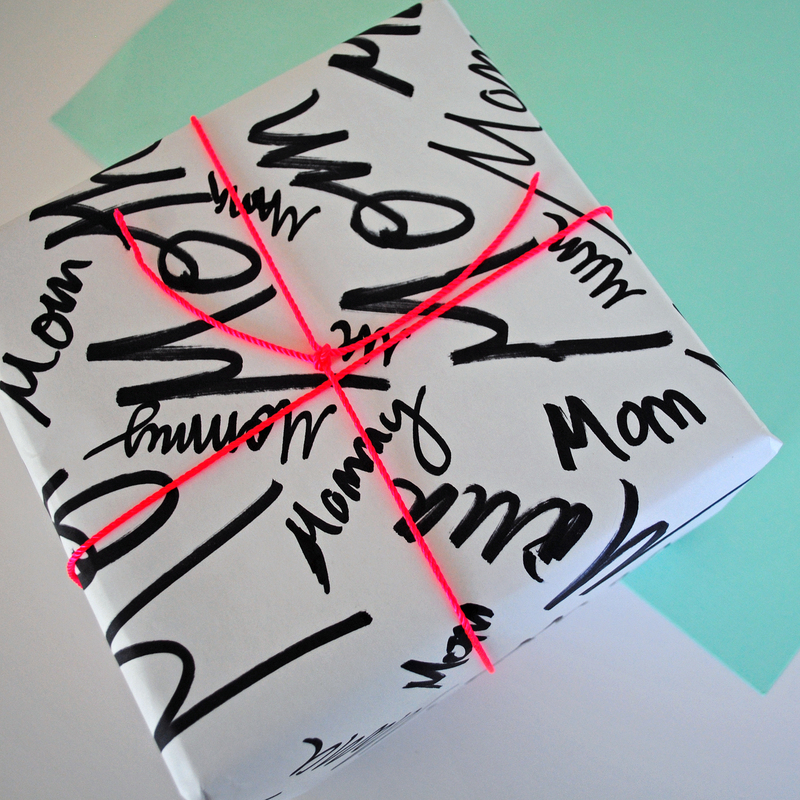 I created my own mom-customized wrapping paper for Mother’s Day gifts. 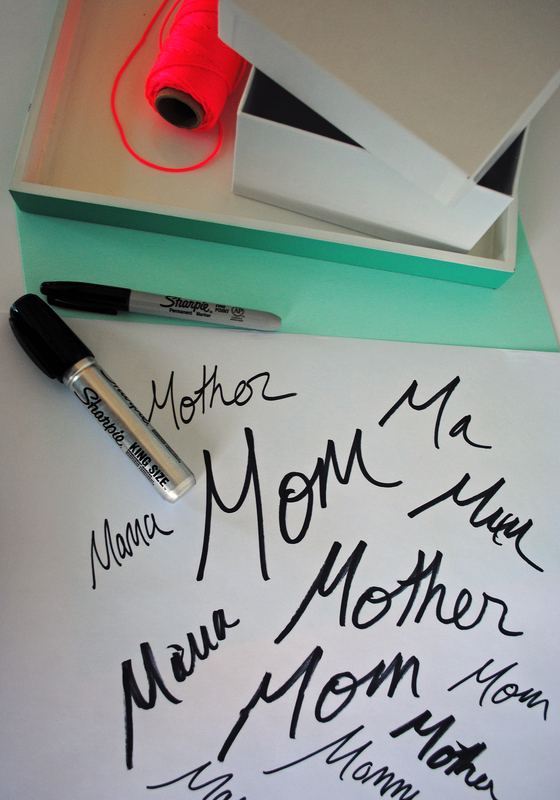 Start with a roll of white paper — try the craft store for ‘banner paper‘ or a shipping store for white packaging paper — and start scrolling out the word Mom in various sizes with a thick marker. The fun thing about this project is you can be really loose with it, it looks put together because the patterns repeat, but aren’t too perfect or precious (if you have kids give them a try at practicing their writing!). What worked best for me was using the king-size sharpie marker, and rotating the paper to get the writing at different angles. It can be totally customized — does your mom have a fun nickname, or do you kids call her variations of Grandma? Write those on too! 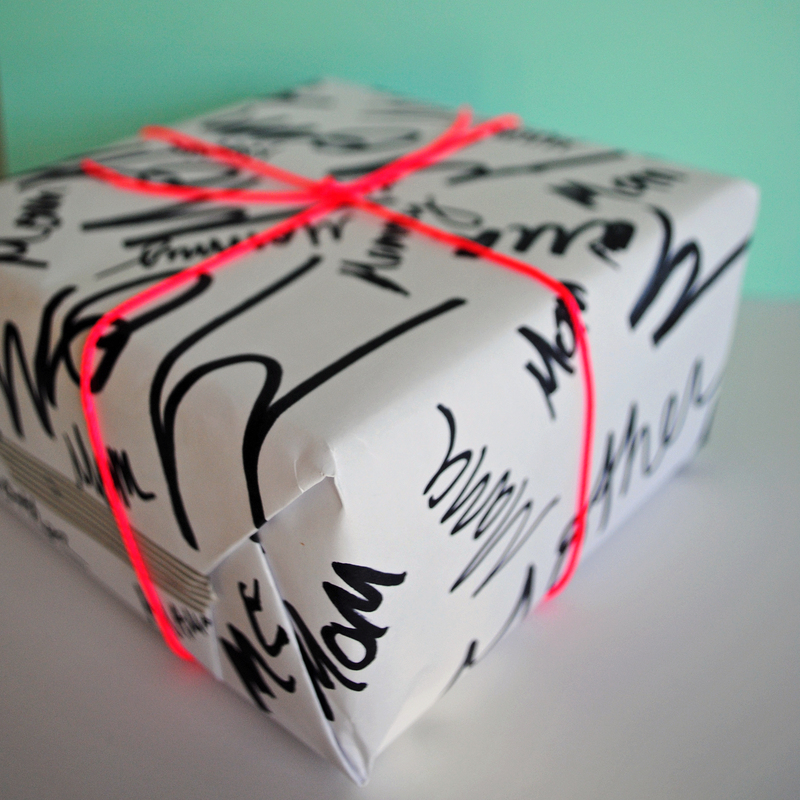 When you’re done, wrap up the present and tie it with neon twine — I grab this hot pink twine at the hardware store (or purchase it on Amazon if you’re a prime-addict like me!). Sparkling Clementine Sangrita. Mother’s Day Gardening Kit.